"Hahahahahah! I get it! GNOME Chomsky!" That is every conversation I've ever had with everyone who visits our tiny house for the first time. Sitting on our porch is a little Travelocity gnome that was given to me by my sister and her family for Christmas a few years ago. Our tiny home was nearly complete and they decided we needed a tiny gnome. And then - because we are unoriginal and great big nerds - we couldn't pass up a chance to give him a punny name straight out of the video game Left4Dead2. In a game-within-a-game, called Guardin' Gnome, you can use the red-capped gnome as your only weapon to fight off the zombies. And, in the game, the gnome is cleverly named "Chompski," after both the American philosopher (Noam Chomsky) and how zombies bite (Chomp Chomp). That, my friends, is the long story behind the name of our little porch gnome. In fact, Chomsky is such a part of our tiny house journey that he warranted his very own section in my book, 120 Ideas for Tiny Living. So when I got an email from THE BEST BUSINESS EVER, I couldn't possibly pass up the opportunity to share it with all of you. If you've been reading this blog for very long at all you know that I include very little advertising. I almost never promote other products directly. 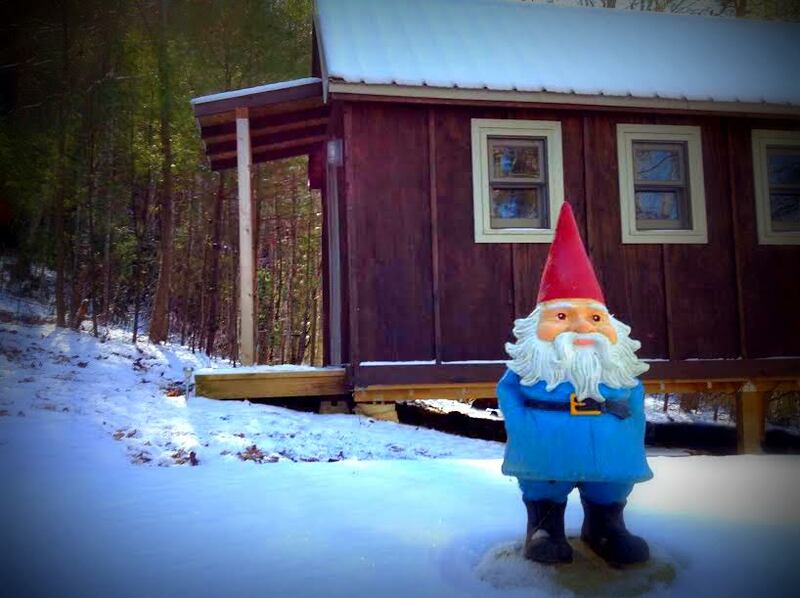 But for the chance that all of you can have you very own tiny house gnome, I had to bend my own rules. The owners of Gnome Depot have offered a special discount for readers of Life in 120 Square Feet! The first 100 readers who use the code 120FEET will get 5% off the purchase of their very own gnome! Get one for your tiny house - or your not so tiny house - today! Go get your very own Chomsky. Also, I think "Alaska" would make an excellent Gnome name.